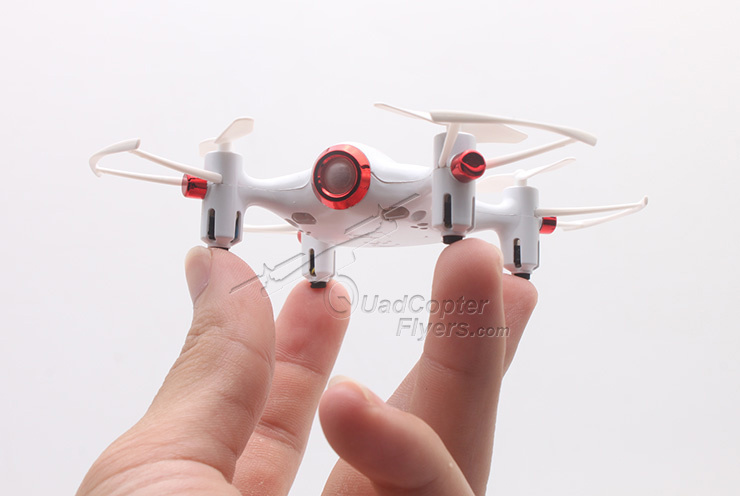 Syma X20 Pocket is a new mini compact drone in 2017 from the brand Syma Toys. In comparison with the new Syma X8S series, X20 pocket poses similar in looks, but relatively tiny in size and places it-self as an upgrade to Syma X12 and X52C micro quads. 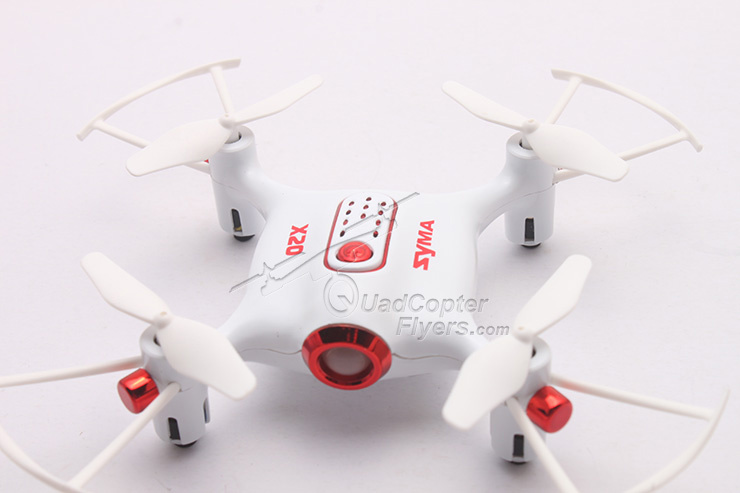 Syma X20 follows the new design pattern, Its evident - Since the launch of Syma X5UC in mid 2016, Syma has made significant changes to the design and improved the features of new drones and their radio transmitters. X20 will be available in two colors - black and white. 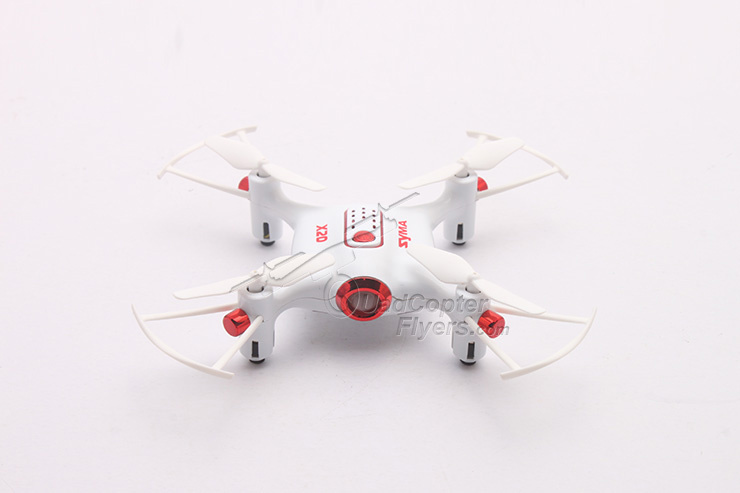 though the front design looks like a slot for camera, but in reality, X20 is not a camera drone. 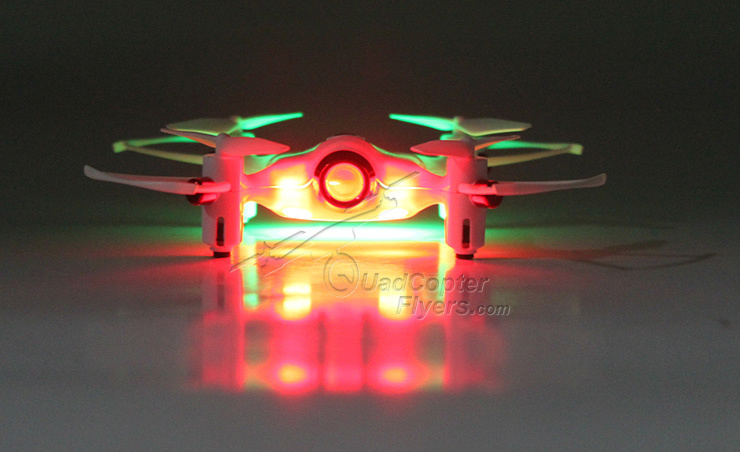 Update: Syma X20W will also be available as an WIFI FPV variant with 0.3 megapixels camera. The new design has more ease of access. 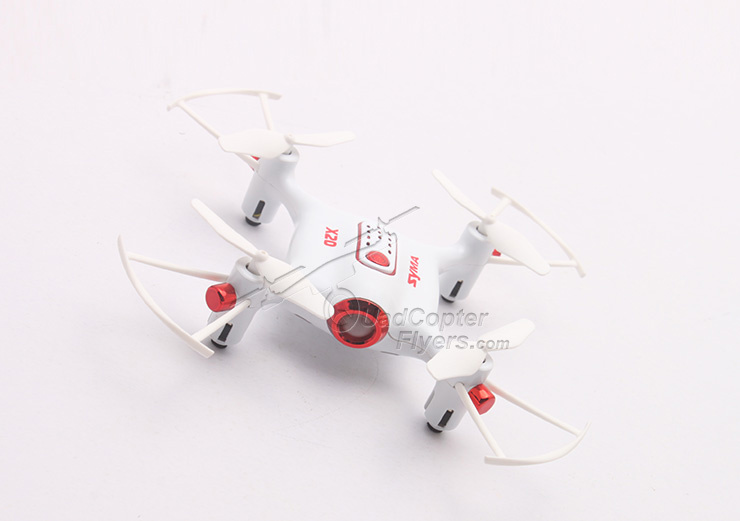 (slide-in Plug and Play batteries-no wires needed, Power button at the top, no screw propellers- easy to attach and detach) are few notable changes. X20, X5UW and the new X8S series are few examples that reflect these changes. With that said, lets look at what the new Pocket X20 is offering. 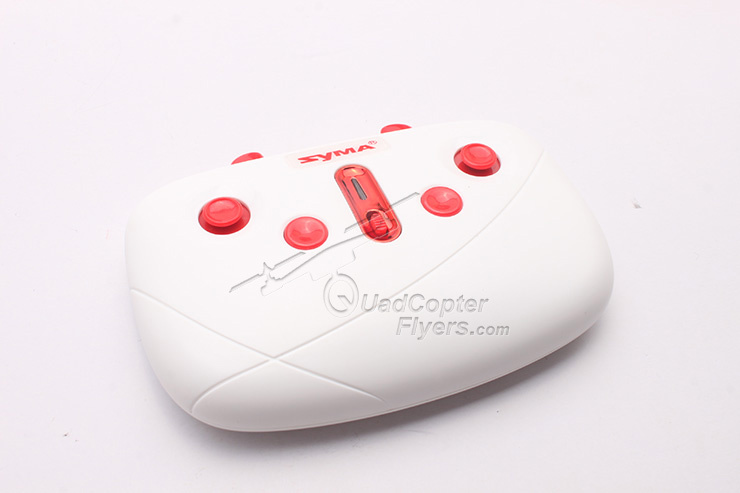 Syma X20 is powered by a small 180 mah lipo battery, which would give a flight time of approximately 5+ minutes. 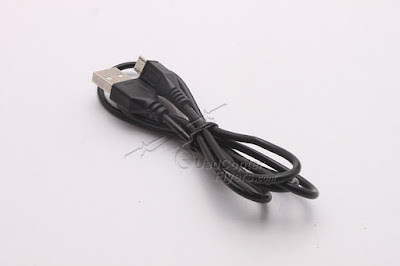 As mentioned earlier, the make over of design extended to the charging cable too, X20 is featuring a micro SB cable to recharge the battery. In my view, Syma X20 is rightly priced, the current listed price is $23.33 and expected to be available in the retail online stores at end of February 2017. 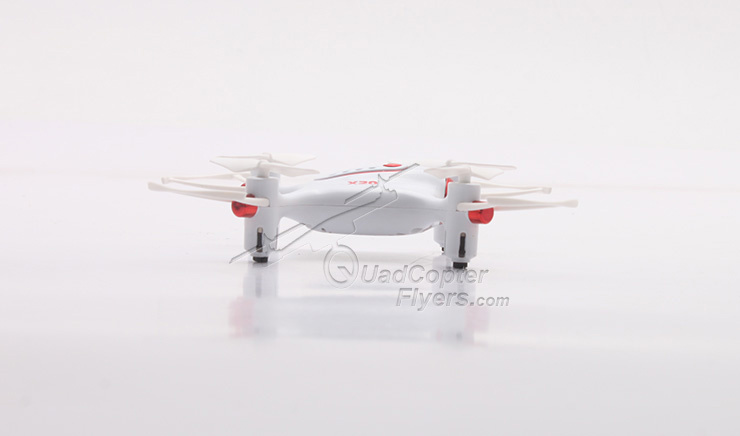 All-in-all, with good design standards, compact size, X20 is definitely worth flying! stay tuned for my complete review.